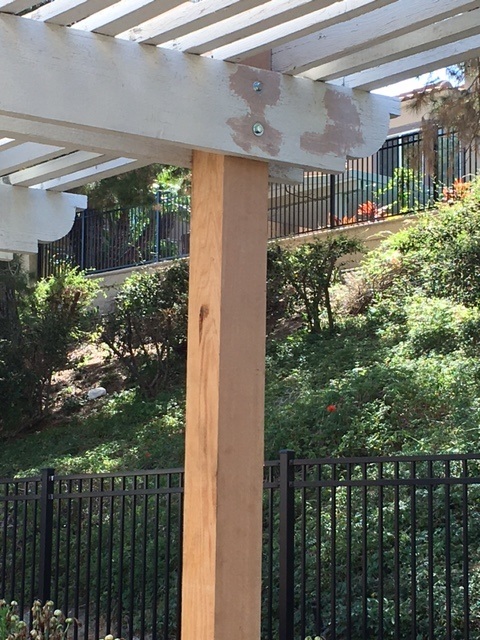 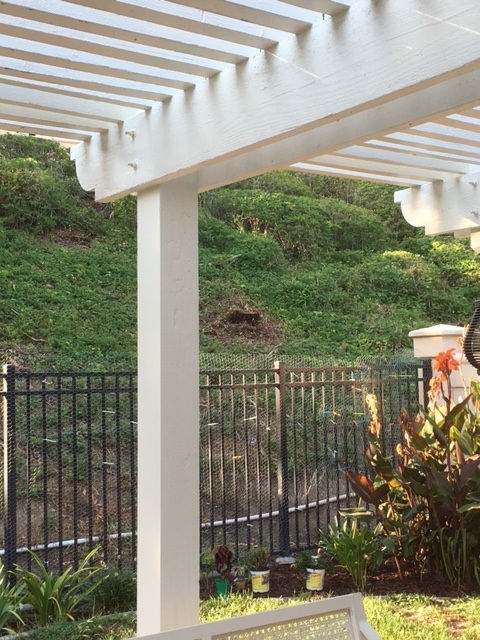 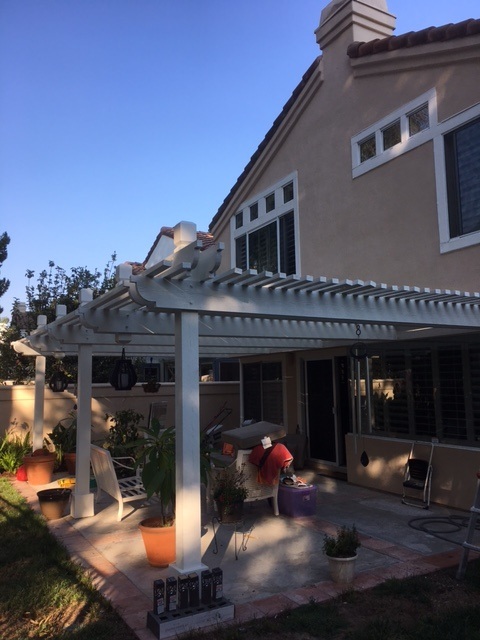 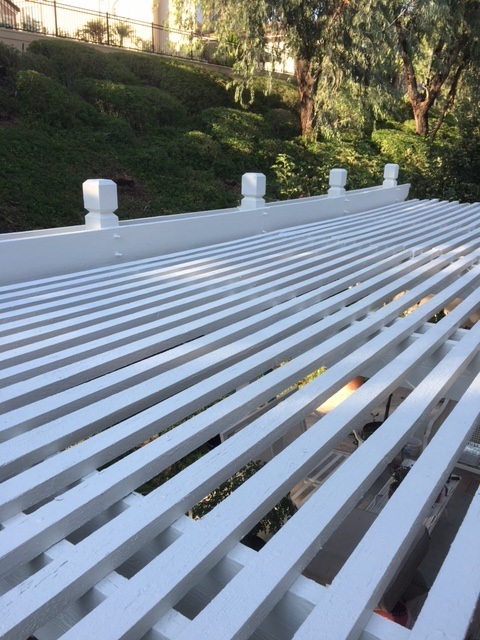 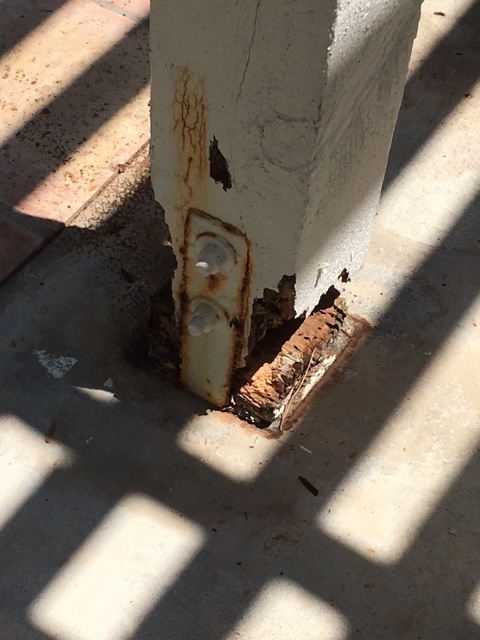 A home in Mission Viejo needed many repairs to their wood patio cover. 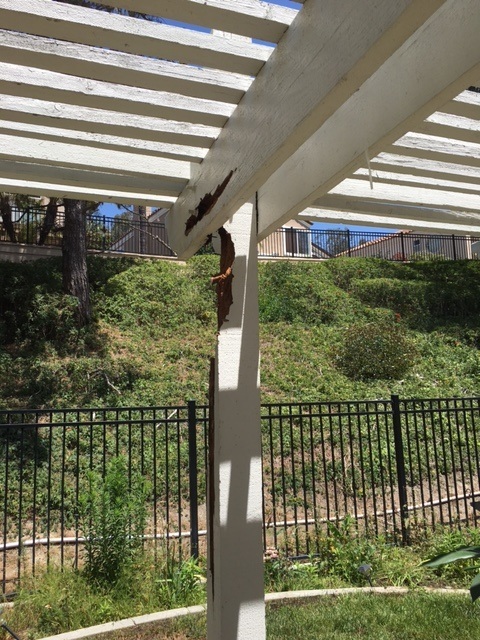 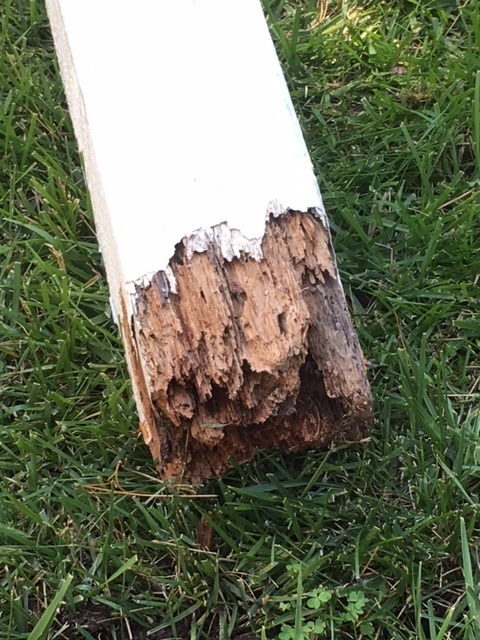 The support posts, Joists and top horizontal boards boards show damage due to rot and termites. 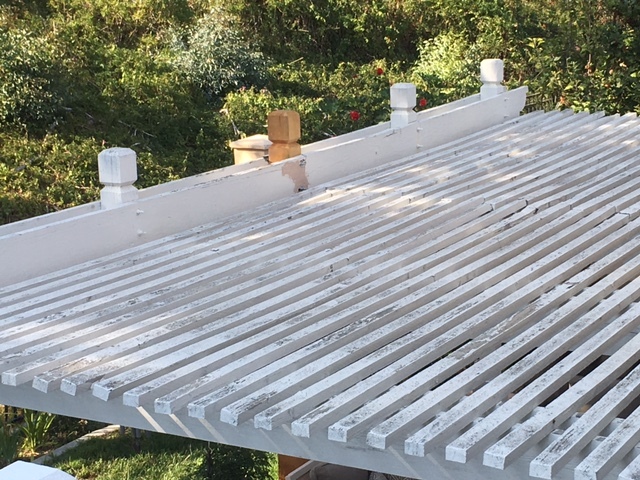 After damaged wood framing is replaced, the areas will get primed and re-painted. 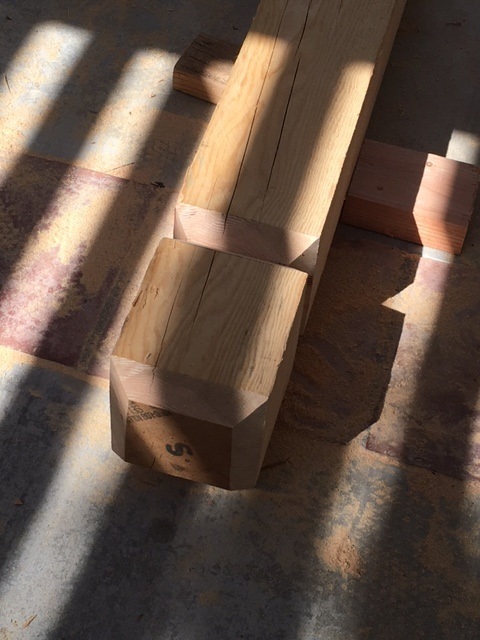 Posts had various detail cuts to make, in order to match the existing architectural styling. 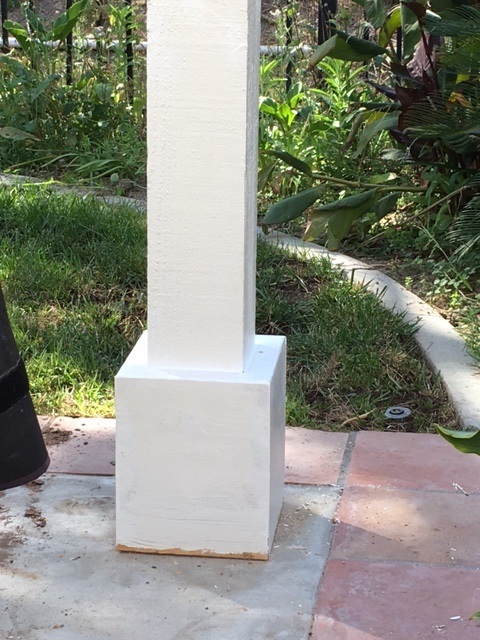 The base of the posts are also getting extra wood framing to cover the lower bots and hardware. 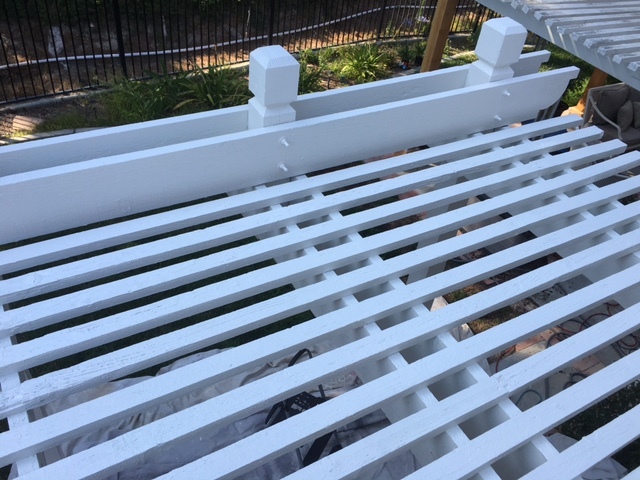 Priming and painting makes a world of difference.